A few weeks ago, we celebrated “Earth Day”. New additions to our custom jewelry collection! The Lapidary Arts crew is happy to announce some new additions to our custom jewelry collection! We would like to introduce a couple of items with beautiful high quality opals. Take a look at the enigmatic play of colors and waves of light present in these bright gemstones. 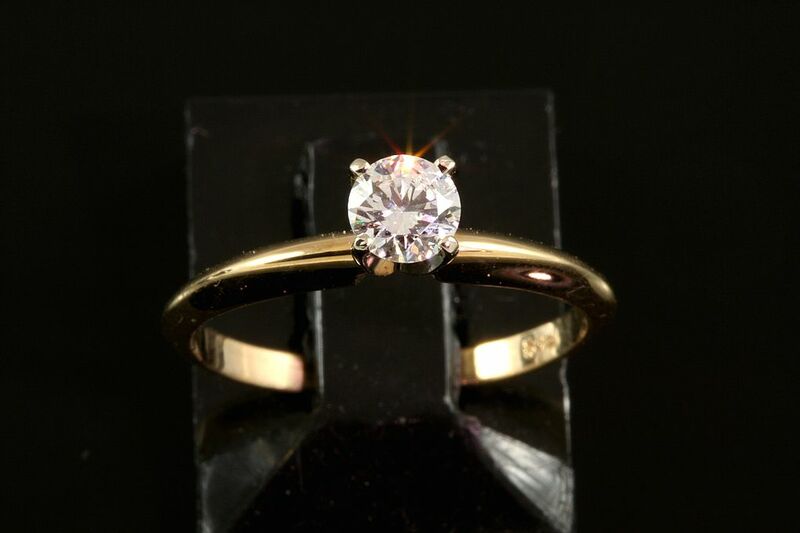 We offer several styles of ring designs in different types of gold. Our most recent favorite, though, is this green opal ring in white gold. The gemstone’s deep green color with bright yellow and green flashes might remind you of stars on a summer night. It is like wearing a mini-galaxy on your finger! We also adore this opal pendant in yellow gold. The smooth, almost “liquid” gold lines encircle the precious opal like streams of lava. However, the pendant looks very delicate, almost weightless. We have also added several sapphire and emerald items (rings, earrings and pendants) to our Lapidary Arts custom jewelry collection. We invite you to browse through our extraordinary collection online or visit our store to pick your next precious gift. 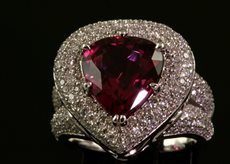 We at Lapidary Arts Custom Jewelry know how much you love your jewelry, and enjoy wearing it on a daily basis. Most gemstones are sturdy, and can last forever (with the proper care). Remember, some stones are delicate, and require special treatment. Here are some tips and general guides for jewelry care. *To prevent any chemical or physical damage to gemstones or metal, avoid wearing your jewelry during household chores, gardening, or any rough physical activities. *Jewerly should be the last thing you put on when going out, and the first thing you take off when returning home. Remember that creams and lotions (as well as perfume and hairspray) can damage some types of jewelry, and can negatively affect some types of gemstones. *Don not wear your jewelry in swimming pools or spas. The mortar between the tiles contains corundum, which will scratch most any stone or precious metal. Chlorine may also cause a reaction to some metals, and will damage many gemstones. *We recommend that you have your jewelry cleaned on a regular basis by a professional. Your stones and prongs can be checked at the same time. This is a complementary service that we offer free of charge. *Store your jewelry carefully in fabric-lined boxes or special bags to keep them from scratching or damaging each other. These steps and general guidelines that are simple to follow. We believe that it will help keep your jewelry in the best state for you to enjoy. If you require any assistance or have any questions concerning jewelry care, do not hesitate to contact us at Lapidary Arts Custom Jewelry. October’s birthstone is the multi-colored opal. October’s birthstone is the multi-colored opal. Opal is a wonderful gemstone with a unique characteristic: the stone exhibits a full color spectrum rainbow of colors. Opals come in a variety of base colors- ranging from an almost opaque white with dots of color to the dark based black opal (the rarest and most sought after). However, the number of color variations tends to be endless. The majority of opals (up to 95%) come from Australian deserts. But this gemstone can be found in many parts of the world-including Mexico, Hungary, Brazil and Africa. The Australian opal has the lowest water content (usually 2%) making it much more stable and less likely to craze (cracking from within) than the others. The name ‘opal’ means “valuable stone” or “gem” in ancient Sanskrit. It is no surprise that this month’s birthstone is widely used in jewelry making, and is deeply loved by many people around the world. To demonstrate the strongest play-of-color – the amazing ability to flash different colors as the stone is moved– they are usually cut into round or oval cabochons. Opal doublets are thin layers of opal mounted on some hard surface that are also common in jewelry. Opal jewelry should be worn as often as possible, because it absorbs humidity from the air, and oil from the person who wears it. It should never be stored in a flame-proof safe or a zip-lock baggy. Australian opals do not need to be kept in water or mineral oil. For centuries, people have believe in opal’s healing powers. Because it has the colors found in all other gemstones, ancient Egyptians considered opal the strongest and most powerful of healing stones. It is believed that the opal helps fight depression and strengthens the positive characteristics of its wearer. It may also help to find true love. At Lapidary Arts, we carry a wide selection of Australian opals in many different colors. You may choose a pre-made design, or order your own custom-designed jewelry piece! September is in full swing, and we’re ready to tell you about this month’s birthstone - the amazing sapphire! Some technical information first. Sapphire is a species of corundum. It is the hardest gemstone after diamond. Its brilliance and radiance as well as its range of colors and hues make it one of the most widely-used precious stones in jewelry making. The gem derives its name from an old Persian word meaning ‘beloved of Saturn’ or ‘Sapphiros’ in Greek. Eye-captivating sapphire has been popular since the Middle Ages when religious people and clergy wore it to protect from evil thoughts. Because of its wonderful color and extraordinary hardness sapphire is said to possess some magical powers. Supposedly, it fosters intuition and clairvoyance. 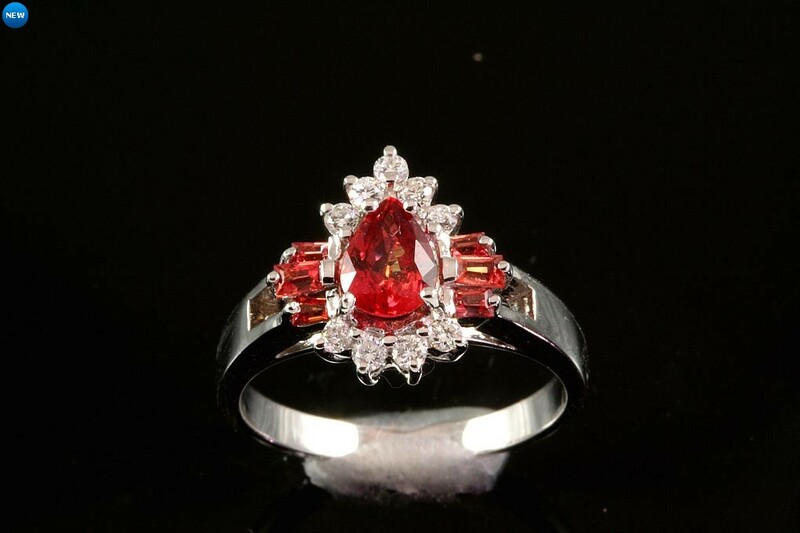 This magical gem helps to develop a positive attitude to life and gives the person who wears it a sense of inner peace. It is believed to protect our loved ones, have healing powers and help to reduce stress. Sapphire symbolizes wisdom and faith, truth and sincerity. Most commonly, sapphire has blue color with lots of hues and shades from deep blue to almost white. You might be surprised to know that it actually comes in a great range of colors – yellow, purple, green and even pink-- every color that you can think of! Trivia: the largest blue sapphire in the world is ‘Lone Star’ that weighs startling 9719.5 carats. At Lapidary Arts we carry the highest quality of natural gemstones from around the world. Lapidary Arts has a complete selection of ready-made sapphire jewelry fit for any taste, as well as loose stones to set into your custom designs. ught to scare away evil spirits and bring a magic power to the wearer, giving success to hunters and granting status in the community. In ancient Egypt, the pendant symbolized the heart as the origin and supply of life. That’s why Egyptians wore pendants on their chests, close to their hearts. The most powerful pendant was an image of the scarab, which meant immortality and a perpetual circle of life and transformation. In medieval Europe, pendants emerged as the modern jewelry item it is today. They were worn more for decoration, and many original designs were generously decorated with different gemstones. In the 18th and 19th centuries, every Royal court in Europe had many fashionable men and women wearing pendants. The epitome of elegance and refinement at that time was a golden pendant with diamonds. Nearly every wealthy and respectable person had at least one of these pendants. Alexandra, the bride of King Edward VII was the first member of the British Royal family to display a necklace in public. 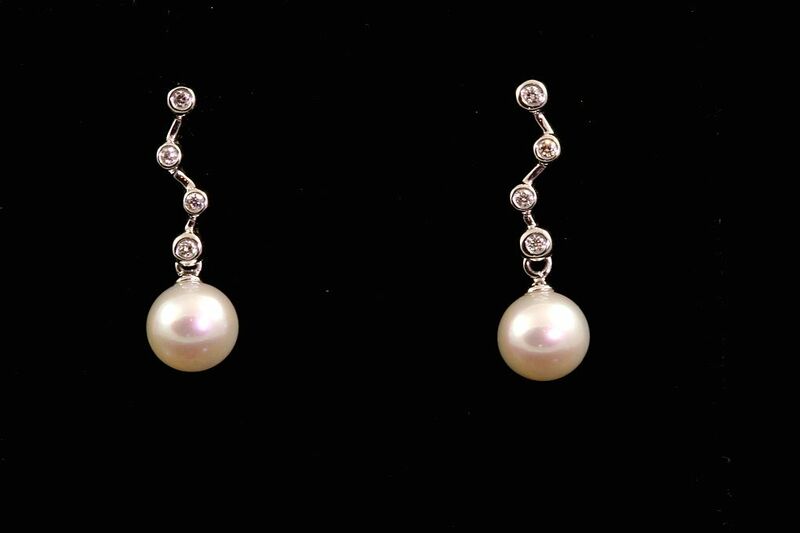 Her famous pearl necklace with the great pearl pendant created a furor at court. Since then, the pendant has become a fashion main stay. They are the indispensable signature piece of every jewelry collection. The pendant would be the perfect gift for the girl who doesn’t wear earrings or for a distinguished woman of any age. You can choose an extravagant style for a special occasion, or something more modest for enjoyment every day. If there is a special style or design that you’re looking for, you can create a one of a kind design at Lapidary Arts. All over the country, this has been a long and difficult winter. With the heavy snowfall and freezing temperatures, we believe that it is time to shout out for spring! Let's all get ready, and make it happen! 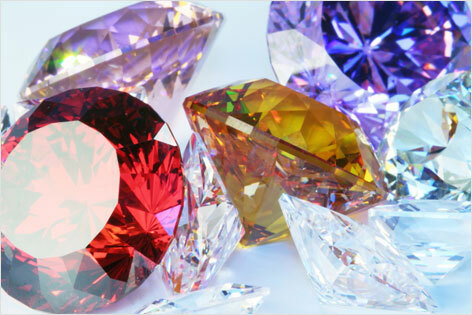 The Lapidary Arts team suggests bringing in some new color to your life! Color can have a huge affect on your moods and feelings. 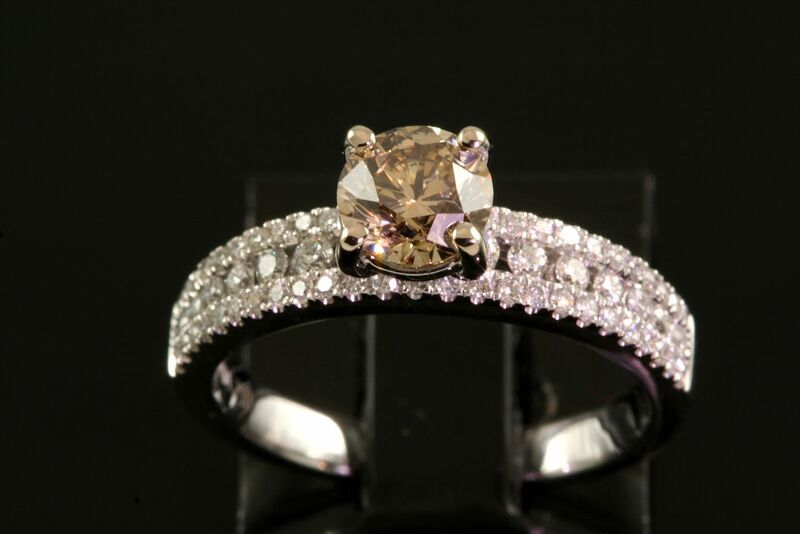 We propose that you make your life brighter by wearing incredible custom stone jewelry! We know certain colors influence our emotions and health. increase sexual desire and activity. Yellow is believed to have soothing properties. It strengthens the mind and helps awaken mental inspiration. It cheers you, and increases your lust for life. Green brings balance and harmony. Its effects are both relaxing and energizing. Blue is cooling. It is believed to calm strong emotions like anger or frustration. It brings tranquility. Purple is the color of transformation. It is believed to heal melancholy and increase spiritual awareness. It is supposed to help sleeping and sooth mental and emotional stress. Crystal white is all colors in one. It brings balance and perfect harmony. It awakens your spirit and raises your consciousness. Choose your favorite colors, and we can incorporate them into jewelry pieces that you can wear daily! Browse our extraordinary collection of colors to find the perfect jewelry for you--or we can create any color combination you desire! Arts help you choose the perfect treasure. Choose the ideal piece of handmade jewelry--ring, pendant, earrings, or necklace. 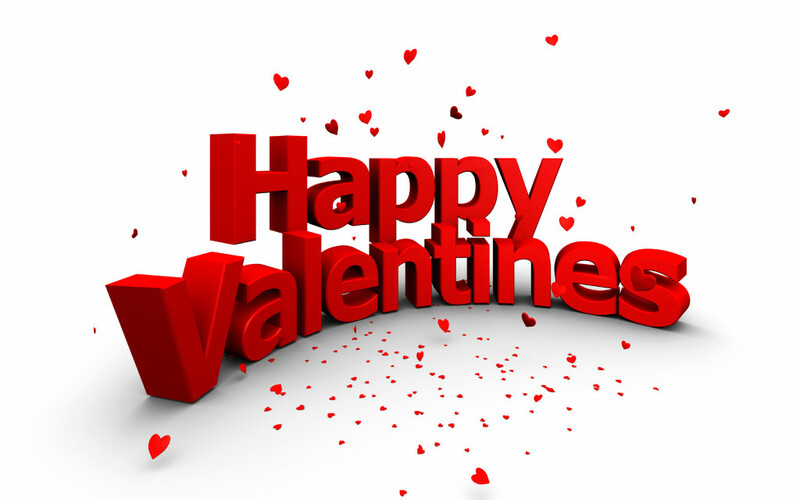 Any of these will make the ideal Valentine’s Day present. Make Valentine’s Day extraordinary with a beautiful selection-just for her!